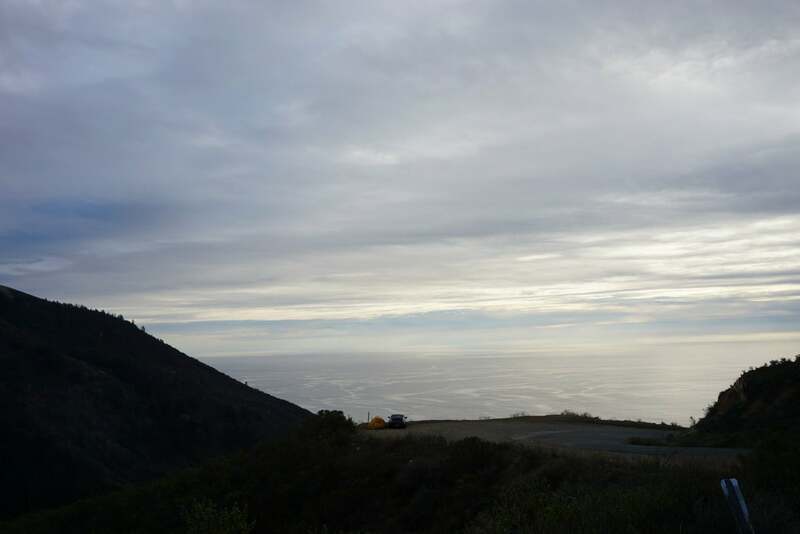 “Hey Honey, let’s go drive Pacific Coast Highway and camp out of our car for the Honeymoon?” “Sure”She said .... wait! What? Dare meet your heroes? Part I. There are many more nights and afternoons spent working on the car, but most of it is little stuff. I don’t think anyone wants to read about a couple hours installing engine mounts or re-greasing wheel bearings. The frunk was loaded as it could get. Tent, sleeping bags, sleeping pad, clothes, Micro-start battery, mini air compressor, tool kit, hiking shoes, camelbacks, books, toilet paper, cooking stove/french press, extra oil/brakefluid/blinkerfluid, and a furry hat as a gift to my Goddaughter. I think we’re good! And we’re off! The first day was about 390 miles of highway. It went great! No issues! After the family day we hit the road. What luck, my parents live about 5 miles from the actual beginning of Pacific Coast Highway! The obligatory “Smile for a picture!” by my mom. I promise I will keep selfies to a minimum. Here it is, the beginning in San Clemente/Capo Beach. After some fun cruising we finally hit our first section of beach with no homes around. Malibu! Traffic was light and we were just enjoying cruising along. Eventually we pulled into Santa Barbara and headed for the beach. In an effort to cool our heels and temper our normal GO GO GO style of driving we stayed in Santa Barbara for 2 nights. It nearly killed me, but it had the effect of making us slow down. We walked almost 9 miles around town stopping at different breweries just checking out the best of SB. Ok, enough sitting still. Let’s get to some remote areas and away from hotels. Just over the hill from SB is Cold Spring Tavern. It was a stop along the old wagon route. Very cool place with a lot of history. Okay, enough history, let’s make tracks. We headed back to Highway 1 after a brief detour through some mountains. We stopped at Avila beach and I added the first quart of oil. We were about 900 miles in so it was expected. So far, so good. Next up we stopped to gawk at the Sea Lions. I still felt like this from Thanksgiving! The section just after was amazing. It’s at this point in the trip we realized we’d said “WOW!” so many times we just sounded like idiots, even to ourselves. Driving this car along a winding road was magic. It was the first car that I didn’t feel the need to speed in to have fun. (Not that I didn’t at times, but I didn’t feel the need to) The character of the car was enjoyable at any speed. The feel of the road in your hands, the grumble of the engine, the view from the tall upright front windshield all made you want to just sit back and be in the moment. NO OTHER THOUGHTS... Just... NOW. This spot was at an overlook of PCH and the ocean. No one around. Perfect campsite! Time to sit and enjoy the view with a cold frosty beverage. Our seats worked perfectly in the frunk.